I love homemade ice cream. There are so many possibilities. 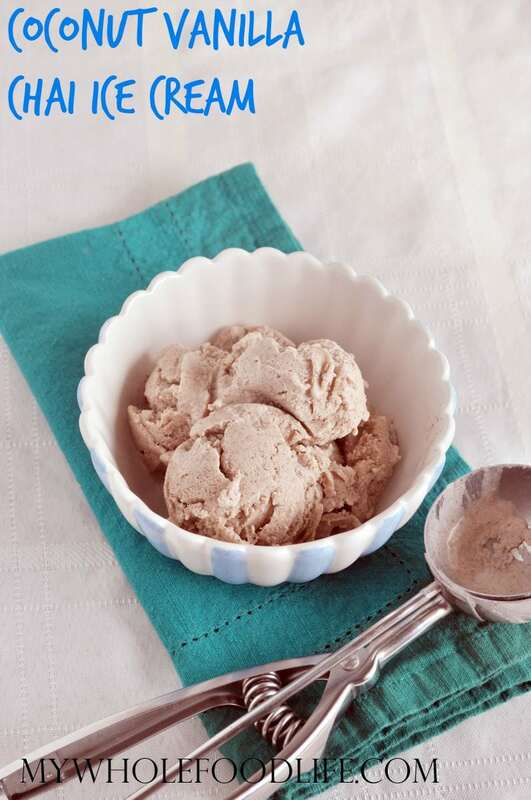 Today I made some Coconut Chai Ice Cream. I love that I can control the ingredients. When you invest in an ice cream maker , it quickly pays for itself if you eat ice cream often. Healthy, dairy free and organic ice cream is so expensive! This ice cream is easy to make with simple ingredients. If you like homemade ice cream, you may also like my Pecan Caramel Ice Cream or my Apple Pie Ice Cream. This ice cream is gluten free and vegan. You can make it in about 20 minutes. Feel free to add in toppings if you like. It might be good with some chocolate chips or caramel sauce! In a large bowl , whisk together all the ingredients. Turn on the ice cream machine. Pour contents into an ice cream machine . It should take 20 minutes to make ice cream. If you don't have an ice cream machine , you can pour the mixture into popsicle molds. I like these molds . Store the ice cream in a freezer safe container. I like this ice cream tub . Make sure your ice cream bowl has been in the freezer for at least 18 hours before attempting this recipe. Oooo, I have never had chai ice cream! This is such an interesting idea. I bet it tastes amazing! Finally I tried a MWFL ice cream recipe, and I am so glad I did! This is so delicious! Chai lattes are my favorite treat drink, so this flavor was PERFECT for the late summer/early fall weather we are having. I love how it presents just like ice cream in texture, but it doesn't coat your mouth with the disgusting layer of wax-like cream that dairy home made ice cream does. This is awesome. I am so excited to try more flavors, and my family is, too! THANK YOU! I really need a ice cream maker!! When I have my own kitchen....... I'll just have to save this recipe till then!!!! Can you use something other than the vanilla beans? Yes, you can use 1/2 tsp vanilla extract, but you may taste the alcohol since this is not cooked.